Replacement:TOL-11790. This part has been discontinued by the supplier. This page is for reference only. 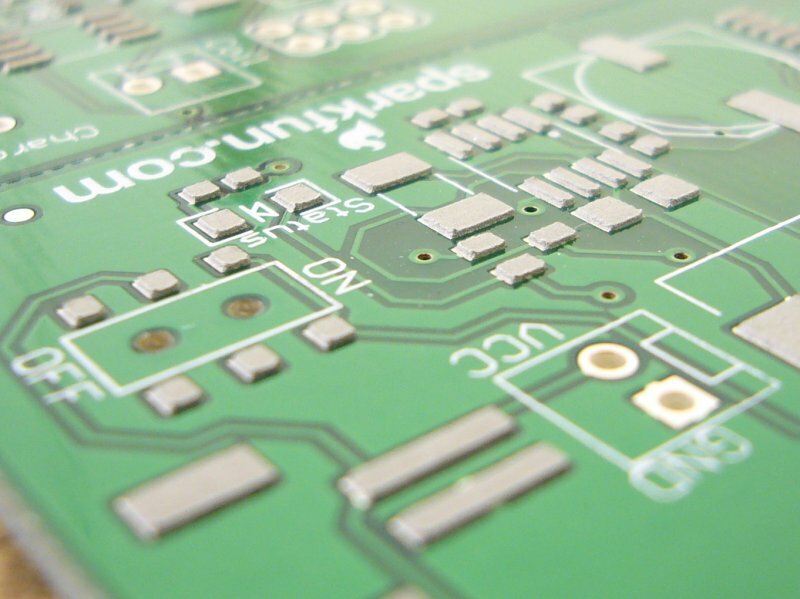 Solder Paste Stenciling is the easiest and quickest way to solder some of the trickier SMD components. Here at SparkFun, we use solder paste stenciling on pretty much all of our boards. It saves us a lot of time. But stenciling takes more than just a stencil and a dream... you're going to need some paste. So here's 50-grams of solder paste! This is just the right amount of paste for most hobby projects and it even comes in a small reusable container. It does contain some lead, so you wouldn't want to use it in production, but it's just fine for hobby-use or prototyping. Check out the Solder Paste Stenciling tutorial (and the video below), if you haven't already. There are a few misconceptions regarding the health risk of solder containing lead. My understanding is: that lead will not produce an airborne hazard at soldering temperatures (when it melts) it needs to be raised to very high temperatures before it volatizes--produces an airborne hazard. That is not to say you don't need adequate ventilation. The fluxes used do produce irritant fumes. Lead can on the other hand can be absorbed through the skin. just as it is in the lungs. Artists still use some lead-based pigments--the real danger is in their powder form which can be easily inhaled and some do use these to blend their own paints. (most avoid the powders settling for paste forms which are more easily controlled--those using powders tend to be well-schooled so they say. 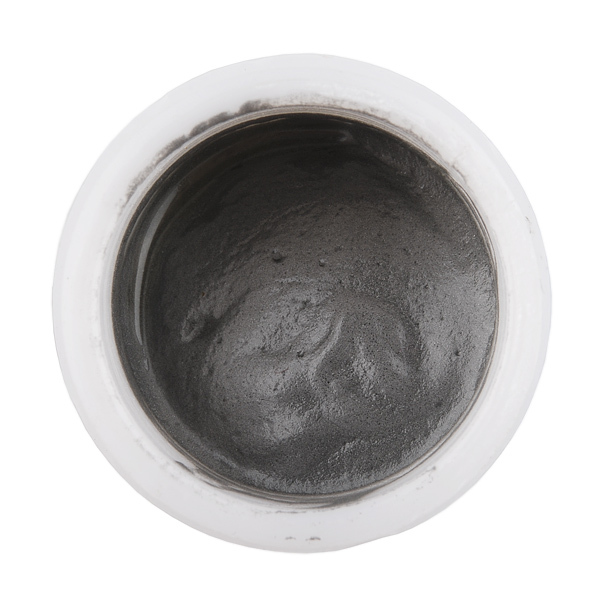 These pigments such as white lead are not available in hobby art supply stores). The point is that lead containing pastes, while hazardous are relatively safe in that exposure can easily be safeguarded with reasonable use. It has been said that the personal exposure hazards (from fumes) can be greater from some versions of non-leaded solders. So using non-leaded solders does not put your health-risk at ease. You still need adequate ventilation. I learned this after my own reactions to exposure to non-leaded solder were somewhat severe (plumbing rather than electrical components. A plumber did a little soldering in the house and i had a reaction just by being in the house to the fumes from a zinc chloride flux). Non-leaded solder has some rather nasty substances in itself. So do all fluxes. The main concern about lead solder is to reduce the footprint of lead in our lives as there is no telling where it eventually ends up. The main risk to having solder paste that contains lead in the house is the fact that it is advised to put it in the fridge--THIS IS ENTIRELY DANGEROUS ESPECIALLY IF ONE HAS LITTLE KIDS. IN NOW WAY SHOULD ONE STORE THIS IN THE SAME FRIDGE IN WHICH YOU STORE YOUR FOOD. No telling who might make a unwitting mistake including yourself in some sort of stupor (it happens) and what residues are on the outside of the package that could transfer to foodstuffs. You should have a small fridge for the purpose in your shop with a hasp lock on it of some kind. The other real hazard is the little bits and pieces that can be left behind after its use which can be ingested or cause other exposure by accident--either kids or adults. Also q-tips and what ever used to clean up paste residues can pick up lead residues. You don't want lead particles to become loose in your house or to ever solder on a table you might eat off of or in the kitchen or other 'living areas' would be my advice. Else, from a societal standpoint the problem is the left overs that end up in the waste stream and that the product itself which bears lead in its solder eventually reaches the trash stream also creating a problem for landfills. I would expect that eventually lead solder will not be obtainable at all. Having said that, lead solder does its thing at a temperature substantially less than that of lead-free solder. Lead-free solder temperatures involve a lot more risk of damaging components--which is not easy to detect or verify as its consequences may not immediately materialize. Hand soldering (or toaster oven or skillet conversions) are less controllable lending significant technical advantages to using lead solder for prototyping and personal production. I myself don't have a great liver and have a severe autoimmune problem (no not AIDS, i have a genetic condition--Addisons) and have always been extremely chemically sensitive. I use the nitrile gloves to handle solder 'wire' and i generally solder in the garage where i have installed a very beefy fan in the side door--so i set up a work table in front of the fan. I also wear a filter mask with cartridges that are effective at removing flux fumes. If you do a lot of soldering i would recommend you consider your exposure to any sort of soldering as serious. The problem is that most of the risk is very long-term and while one is young, one tends to procrastinate. You can mature to resent your youthful folly. The short of it is that solder containing lead is not going to risk your health if handled wisely. That using lead-free solder unwisely also introduces significant health risks. The trend toward non-leaded solder is driven by larger societal concerns about reducing the amount of lead in products that are hard to account for--such as byproduct wastes of production and eventually that everything finds its way into the waste stream. Otherwise, being of a general hazard leaving no real trail, it can end up who knows where in our homes and other environs. A major source of lead exposure has been plumbing. It can sometimes be a matter of the solder that was used profusely once upon a time (now copper is too expensive for routine use). But when i was young i witnessed how plumbers tended to seal threaded pipes. Many of them used to buy a gallon of leaded paint, which was common, and decant it (pour it off before mixing) which left the leaded component behind in the bottom of the can--1 to 2 inches. They then would dip the male ends of threaded joints into this leaded concoction to seal piping for heating systems and sometimes potable water supplies--it was cheaper than commercial pipe dopes and most used left over paints from construction i would guess. Can this man get a medal for the longest SparkFun comment ever? I use a USB-powered mini fridge to store my solder paste in. They are only about $25, and they cool the paste down to about 35-45 degrees Farenheit. The white paste from school is healthier, tastes better, and is cheaper: don't eat this paste. The only worthwhile use for this paste seems to be metal-metal joins where you want it to conduct decently well. But try to melt it some after you apply it, or it doesn't stay stuck quite right. 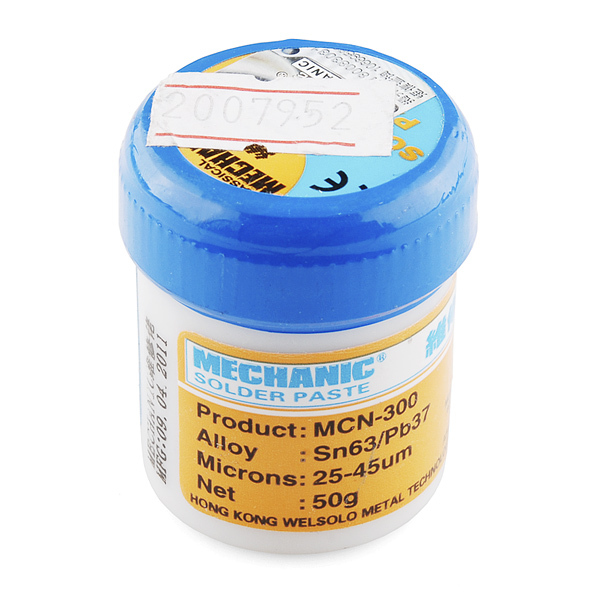 The picture shows Mechanics MNC-300 solder paste, something completely different showed up :( The net weight is stated as 50g, the total weight of the container I received including the plastic case is 29g. "So here's 50-grams of solder paste!" yeah, right. Get your act together SparkFun! Does anyone know the type of flux that is use in this product? Is it no clean or water soluble? I have an LCD with pins soldered to the glass. One of the pins is no longer connected. Would this paste work to resolder the pin? Though I haven't tried it yet so I can't comment on the quality, I will note that the paste I received is not what is shown in the pictures. What's the reflow time and temperature with this paste? This paste spreads okay and reflows well enough in my toaster oven. I get solder bridges on chips with pins that are close (not technically "fine pitch" parts but close) and I have to wick them up. That's probably a stencil design issue. But, this paste makes a mess. It is not water soluble and cleaning it off a Kapton stencil is very, very difficult. Lots of very hot water and water pressure does not do it. Even scraping the paste off with a squeegee does not do it. Bits of dried paste get stuck in the stencil apertures and on the surface of the stencil, and its very hard and time consuming to get it out. I'll be using Kestor Easy 256 for the rest of my projects. Yes this stuff is cheaper if you only need a little bit, but its not worth the hassle. Have you tried 91% or stronger isopropyl alcohol? Isn't leaded solder paste no good for your sink? Polycaprolactone (Instamorph, Shapelock, etc) would probably work great for a frame. I would roll out a sheet with my rolling pin about twice as thick at the pcb. Then hit it with a heat gun till it just turns clear and push the PCB down into the sheet. Perfect fit every time. I am going to try that when my paste comes in. Is the cooking profile for this paste available? Use the same profile as Kester EP256, works perfectly. The non-metallic composition may be different but the melting point of the metals are the same. Thanks! I spent a day playing with an oven and the SPE controller. Can't wait to put an actual board through. Is there an MSDS that comes with this? I'm guessing this requires cleaning after use (with isopropyl alcohol or similar), but does anyone know for certain? It will, depending on the surface you are cleaning it off of, water could suffice. But on other stuff like film stencils, isopropyl alcohol will be needed. Is this paste same az the one on dealextreme? Previous comments would seem to indicate so. Scroll up a bit. You guys need to sell a spatula or squeegie or something with this to help apply the paste. I use a credit card. I would melt it down before it expires and use it in a solder pot. Where can I find that skillet? You can buy a nice one on Amazon here. Just lay some aluminium sheet on the bottom. LOL you didn't even bother to remove the sticker with the SKU from DX to take the picture! By the way, I use this product for months, it works very well and I don't put it in a fridge. This isn't a terrible price at all but I wouldn't want to order paste from the states. I'd end up getting a $800 customs bill (slight exaggeration...only slight). Could somebody explain me why / when solder paste is needed? I could solder most SMD parts fairly well on the PCB that I ordered without using any solder paste or solder. I placed the components, melt the PCB pads and it worked for me. Is it only needed for reflow soldering or also makes hand soldering easier? Your pcb pads clearly had solder on them already. You can't solder without solder. Yeah, the pads are already made from solder. I can easily imagine that a thicker layer of solder makes soldering easier. Gotta try pasting sometime. Technically the pads are not made from solder, they just have solder on them. They are made from copper. But it is common for a PCB house to finish the copper on the board by covering it all with a bit of solder. And that is usually not enough solder to make a good connection, so you really should be adding solder one way or another. It's probably more to prevent corrosion of the copper and to give the added solder something to bind to. Yeah, it's called immersion. It prevents something called black pad (corrosion of the nickel plating layer). Makes it easier all around. With my shaky hands I wouldn't hand solder SMD without paste. You ever try hand soldering a leadless package? fairly hard to do when the pads are on the bottom of an IC, unless you put tons of vias. plus, using a toaster, you could solder an entire board all at once, as opposed to taking hours to hand solder something. Standard shipping on these, right? You guys should stock syringes too. Stencils just aren't worth the cost for small boards. Stencil always worth the cost ... especially if you can put multiple designs on the same stencil. I even use stencils for boards down to a few square mm (kind of REG113 breakout). A board needs to have more than just a few components on it before a stencil is actually worth it for the average person. If a board you just need one of has only a dozen or two pads on it which take an extremely generous 60 seconds to squeeze out, then one would have to value their time at $1600 per hour to justify the cost of a $25 stencil. I'd like it if that were the case and I do value my time greatly, but I haven't figured out how to make my time worth that much money and I don't think I'm going to before the economy collapses. At the end of the fiscal year it all boils down to whether or not sparkfun can profit from selling syringes, and perhaps even make some happy customers along the way. Again I'll hazard a guess. I think they can. Time will tell, of course. If the sale of this paste goes well enough, I think we can reasonably expect to see syringes show up. In the mean time, inkjet refill syringes work acceptably well with paste, and seem to store it ok too. I've made a few boards with over 100 pads using syringes. Since I make most of my boards by hand, I don't like to wait a week or two for a stencil to come in. Stencils are better for mass producing boards, but for single or prototype boards, syringes are faster. Cool but why must we suffer with lead version? why not sell non lead ? Even better than a link would be SFE selling template stencils (stencils with all common parts so you can selectively paste or apply resist). non leaded is harder to get in small quantities, and much pricier. price isnt a issue and im sure you can source some small resealable containers. trust me it would sell. this stuff your selling for $10 i can get 3 for that price. if it was unleaded i wouldnt mind the price. Great, i`m looking for refrigeration to store my solder paste, might be i want to buy.